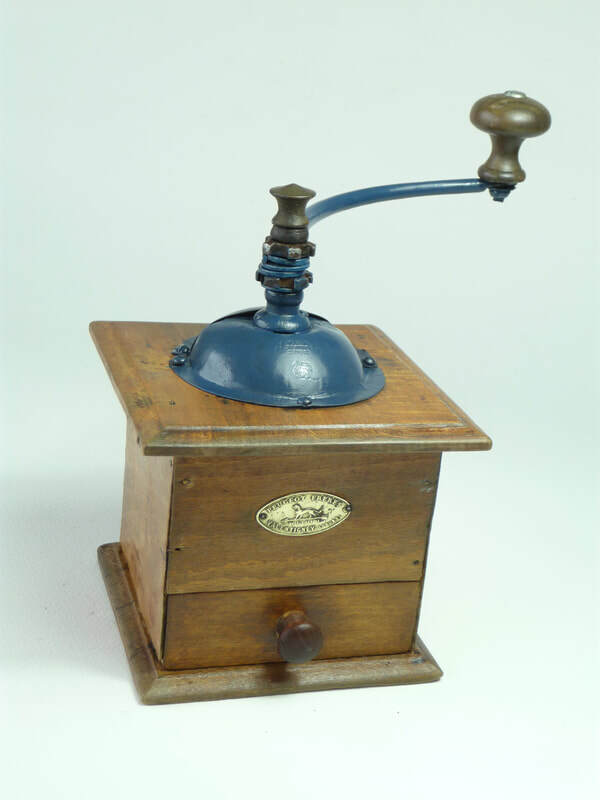 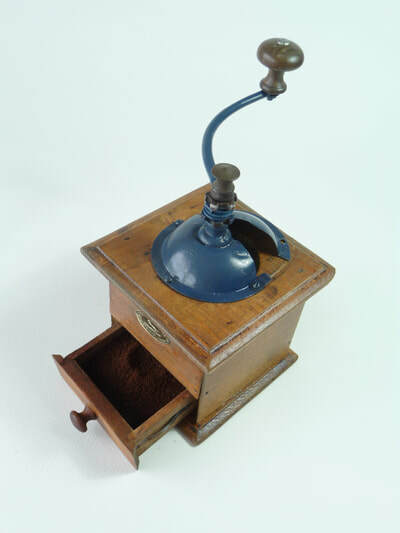 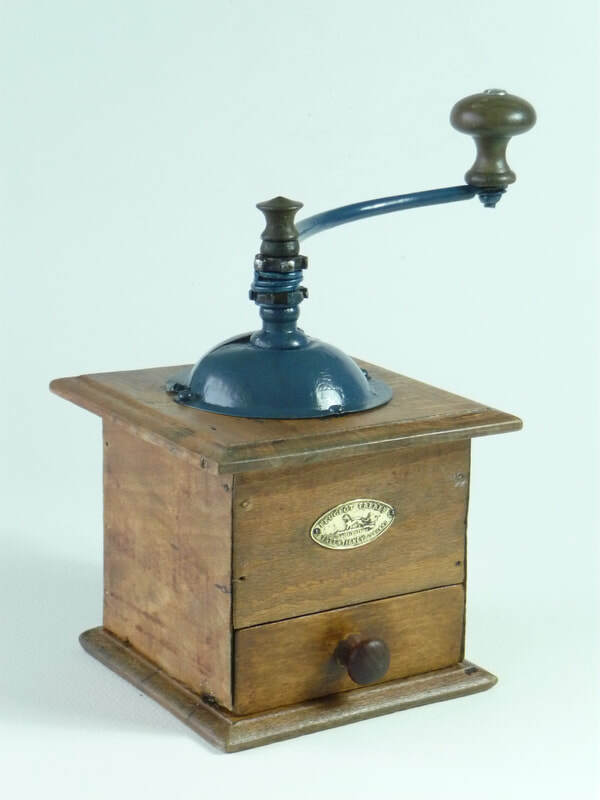 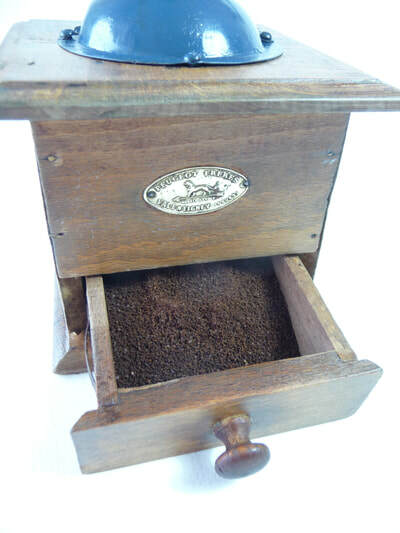 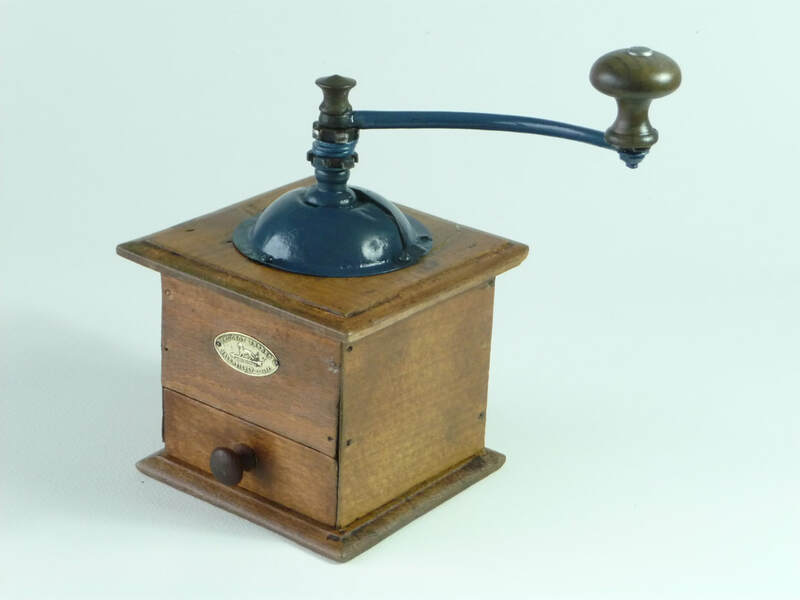 A lovely small antique French coffee grinder. 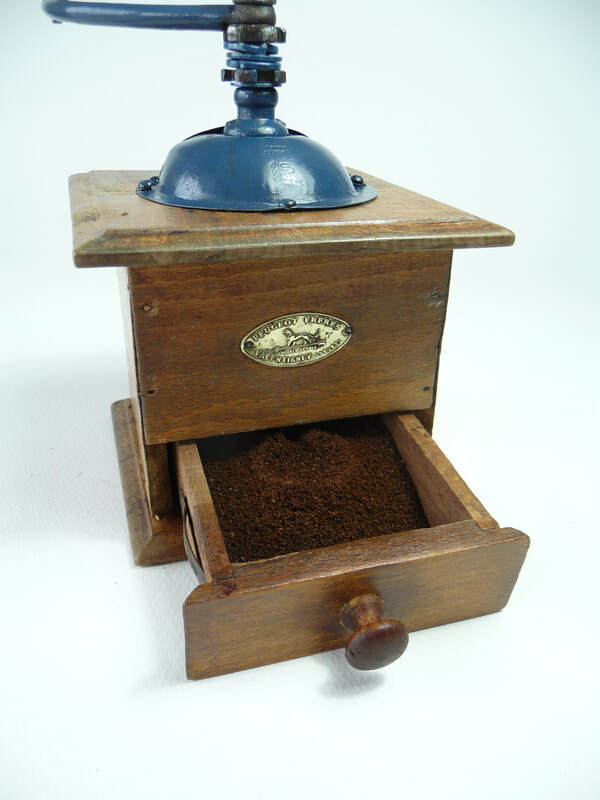 This one of the characteristic ‘boite et tirior’ design (box and drawer), which most probably dates from around 1910. 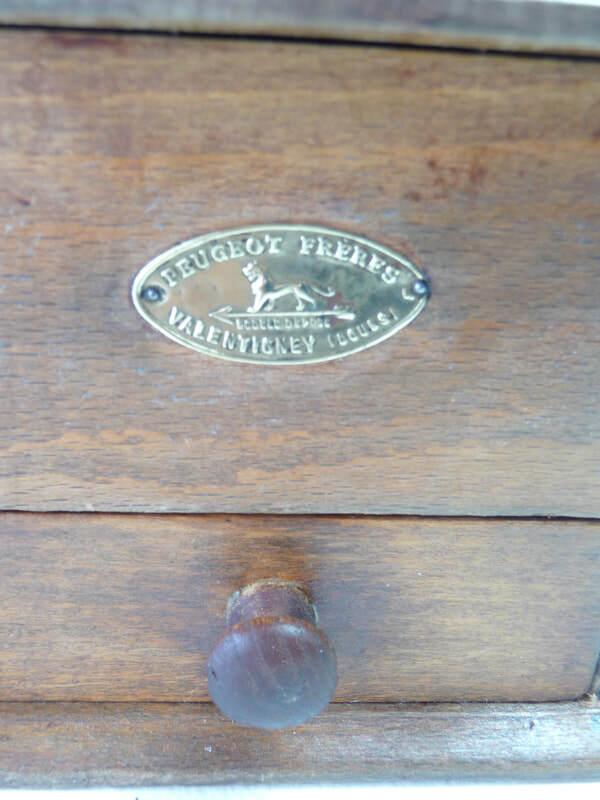 It was made by the famous Peugeot Freres. 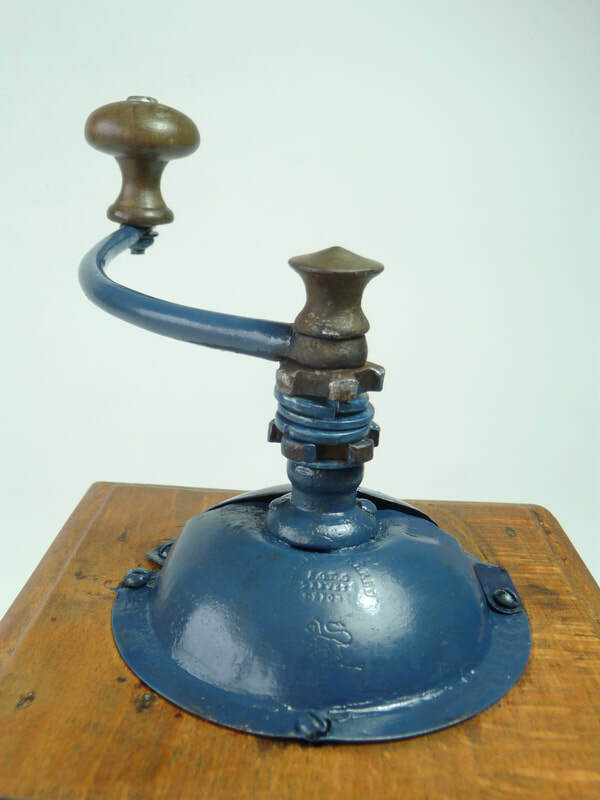 Quite a rustic piece, this full of aged character and has the advantage of retaining the original maker's brass mark. Made of wood, it has a painted metal top and is in full working order, having been recently repaired and cleaned.